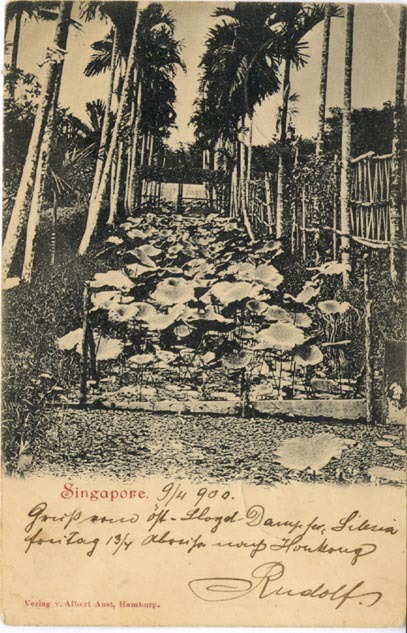 Singapore [Lily Pond]. Dated by hand: "9/4/900." Published by "Verlag v. Albert Aust, Hamburg." 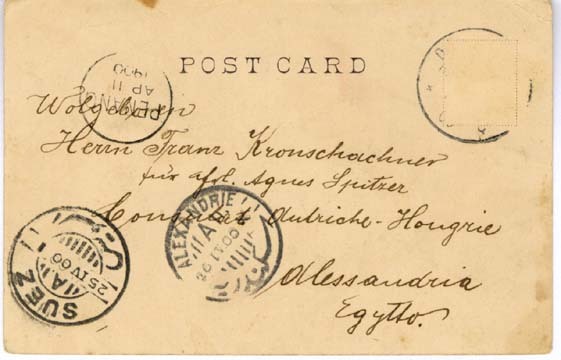 Postmarked at its Eygptian preliminary and final destinations: "Suez 20 IV 00" and "Alexandrie 26 IV 00"-- Reverse.